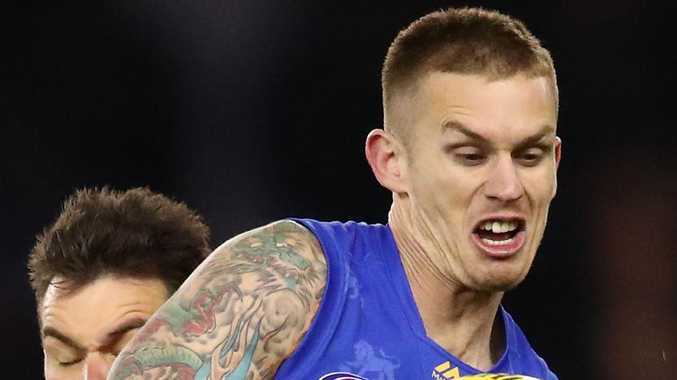 THE question mark over Dayne Beams returning to Collingwood is whether it goes against Nathan Buckley's determination to build for the future instead of the now. The prevailing view among Brisbane's football department is the Beams deal will get done by Wednesday night's 8.30pm deadline. But it will take plenty to wrest him out of Brisbane given the Lions gave up picks 5, 25 and Jack Crisp to secure him four years ago. On face value, handing over pick 18 this year and most likely the first or second-rounder next year would seem to go against the Magpies' aims of shoring up their future. But Beams is a star. He turns 29 in February and might only have two or three more years left at his peak. So if the Pies were to hand over two first-rounders, would they be selling the farm? Not when the addition of him to their midfield means they might have the best onball brigade in the AFL. Few clubs have such a priceless opportunity to do both - get the quick-fix star and build for the future. And securing talented half-back/midfielder Isaac Quaynor and versatile youngster Will Kelly in the same draft takes care of the future. It should be the best of both worlds for the Pies, a happy coincidence of securing a next generation academy star, a gun father-son and adding Beams. Beams is a game-changing midfielder mainly because he kicks so many goals. Collingwood's half-forwards just couldn't stop kicking goals this year, but the Pies pure midfielders aren't renowned goalkickers. Scott Pendlebury kicked nine in 25 games, Taylor Adams nine in 23, Steele Sidebottom 12 in 26, Jack Crisp four in 26, Brayden Sier two in 12 and Brodie Grundy nine in 26. Beams averages a goal a game. Of all full-time midfielders this year, he kicked the sixth most goals. This year he ranked elite as a goalkicker, elite for contested possessions, averaged 29 possessions, was a great clearance player (5.6 a game), recorded great score involvements (6.5). His arrival would allow Jordan De Goey to play as that deep forward and he adds to the kind of midfield depth that was lacking when West Coast over-ran them with 18 of the last 26 inside 50s in the grand final. 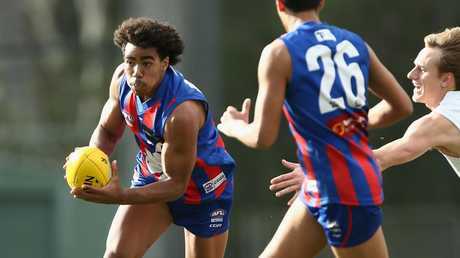 Even if the Pies have to give up a 2019 first-rounder, the net gain of Quaynor and Kelly fixes holes for the medium-term. Most clubs don't go wild about medium-sized defenders let alone consider matching bids for them somewhere in the first 15 picks. But Quaynor is a very special package. Of Ghanian heritage, he has a bit of everything and he shut down SA prodigy Izak Rankine in last year's grand final week rep game and has barely put a foot wrong. Kelly came of age in the Under-18 national championship for Vic Metro as a big attacking defender who can intercept as well as stop.